Eat as many carrots as you like - there are simply some things that you’ll never see in the dark! Thankfully modern technology has provided us with night vision scopes. Typically used by night hunters, night vision scopes are the perfect solutions for anyone in need of enhanced eyesight under the cover of darkness. Devices like this aren’t always the most affordable. Depending on the brand, night vision scopes can range up into the tens of thousands of dollars. Night hunting is a dangerous and taxing activity. It’s imperative to have equipment that enhances the experience and does not weigh you or your pocket down. But we have good news: We’ve have selected the best five night vision scopes that won’t break the bank. Our comprehensive reviews of each of these affordable scopes will help put you on track for selecting the best one for you. A night vision scope is an electronic device used to intensify one’s eyesight under low light or darkness. Night vision scopes were originally developed for warfare. Soldiers used them to gain advantages over their opponents. Seeing in the dark is an obvious benefit in any combat situation. Today, while they’re popular amongst hunters they are still used in the military as well as by police and firefighters. Advances in manufacturing have made night vision scopes extremely durable and thus reliable in most night crisis situations. Night vision scopes fall under two main types; ‘active’ and ‘passive’ night vision systems. Active night vision systems are also known as infrared imaging systems. They project infrared light onto a space via an IR illuminator. This infrared light is invisible to humans. The scope will then turn the space into visual imagery using image conversion technology. This is then projected back for the viewer to see. Passive night vision systems are a little bit different. They make use of any available minimal lighting and amplify that light thousands of times. The visuals coming through a passive vision system are anywhere between 20 to 50,000 times brighter than the human eye can view unaided. Night vision scopes are valuable pieces of equipment to incorporate into night hunting. They will become your eyes in the darkness, just like in warfare. These devices are important for hunting as they don’t give away your position while stalking an animal. Any alternative means of seeing in the dark would require a direct beam of light toward the creature. This shows them immediately that you’re lurking nearby and will spook them. Early models of night vision scopes required batteries so big you’d have to carry them on your back. Thank goodness for advancements in technology! Today’s scopes can work with an average, everyday battery pack. They usually last a few hours in the field and are recharged as necessary. Normal night vision scopes don’t rely on digital imagery to relay visuals to the user. They work solely through an intricate setup of lenses and plates to deliver the image from one side to the next. As light enters the front of the scope it passes through a range of protons and electrons. Eventually it hits a screen made of green phosphor and the interpreted image is then delivered through the viewing lens. This process requires zero digitalization to work. It’s purely scientific and reactive. Dim light enters on one end of the scope and exits multiple times clearer out the other. Digital night vision is a bit different and has been called “the future” when it comes to night vision culture. Instead of amplifying light through the afore mentioned series of events, a digital night vision scope instead uses a digital signal to do the job. The process is entirely electrical. Image sensors absorb the incoming light and transmit the imagery to a screen in the eyepiece. In short, the screen contains the imagery unlike in Gen-1 devices where the imagery is live. Because digital night vision technology is relatively simple it’s often far more affordable that its counterparts. When compared to Gen-1 devices, you’re definitely better off going with a digital night vision unit. The quality of viewing and performance isn’t noticeably different and you’ll be saving a lot of money. When compared to the units of Gen-2 or 3, however, the range and resolution of digital night scopes aren’t up to standard. The quality is noticeably lower and not a worthwhile investment even if you’re saving a few bucks. Although with time digital night vision will continue to improve in quality and start becoming a viable alternative to Gen-2. Digital night vision will always be the better choice if using a scope during both day and night is of value to you. They have this ability while standard night vision scopes do not. It’s important to familiarize yourself with the generational history of night vision technology as it gives you a greater sense of understanding and appreciation for the technology. Since you’ll likely be making much use of it while out in the field, it helps to know how it evolved, and also the value you get for the money you’ll pay. Luckily, as with any technology, there is usually a range to suit any budget. When night vision scopes first became available to the public they were extremely unreasonable in cost. Once the novelty wore off and technology advanced however, they became more readily available to the masses. Manufacturers began to compete for new models and designs & as a result the cost of buying one dropped considerably. That being said, there are still many ranges of higher-end night vision scopes out there that would be considered costly. 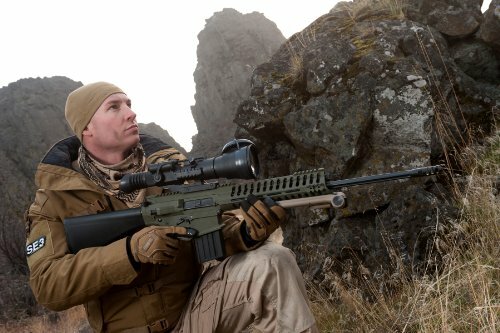 Finding quality scopes for under $2000 is possible, but requires a bit of informed investigation. 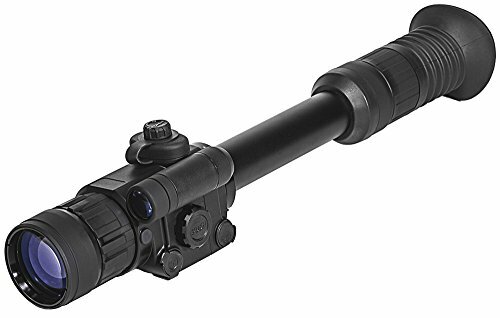 As mentioned, digital night vision scopes are the most affordable of the technology and typically all fall under the $2000 mark; Usually with Gen-1 devices not far behind. Gen-2 and Gen-3 scopes are unpredictable in price. Some are high-end and unaffordable while others of equal quality fall well under the $2000 limit. It’s all dependent on the brand and quality of the materials used to make the device. We are pleased to report our pick of top five affordable night vision scopes all make it well under the $2000 mark. We believe that all night hunters should have access to a night vision scope of sorts both for performance enhancement and added safety. Night hunting can be unpredictable. Any equipment that can help alleviate the threats that exist under darkness should be accessible and affordable. As promised, here is our comprehensive breakdown of the features of our top five picks. 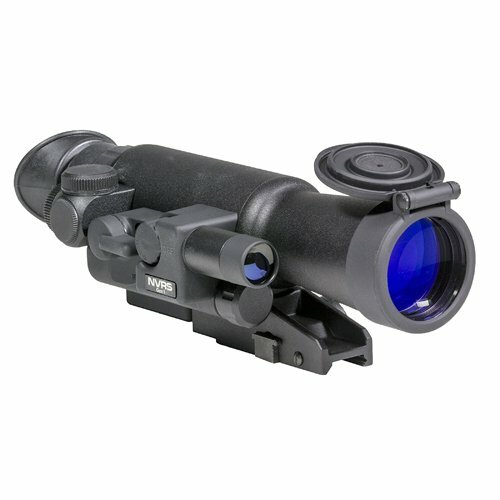 Make use of the reviews, pros and cons in order to select the best affordable night vision scope for you. This night vision scope by Firefield is our most affordable option out of all the affordable options. Coming in at a fraction of the price of its competitors it’s endlessly impressive. This is a Generation 1 night vision scope and at one point would have been referred to as starlight technology. We are most impressed but the Firefield’s battery life. When using the IR illuminator it’s able to perform for up to 20 solid hours. When not using the illuminator this ability increases to 50 hours. When in use, the IR illuminator can extend your hunting range by up to 100 yards. This makes it a highly effective device to use for hog hunting. In spite of its titanium exterior it’s still exceptionally lightweight and compact. This particular night vision scope isn’t digital and therefore can’t be used during the day. It’s solely designed for night hunts and lengthy hunting trips (note the battery performance). 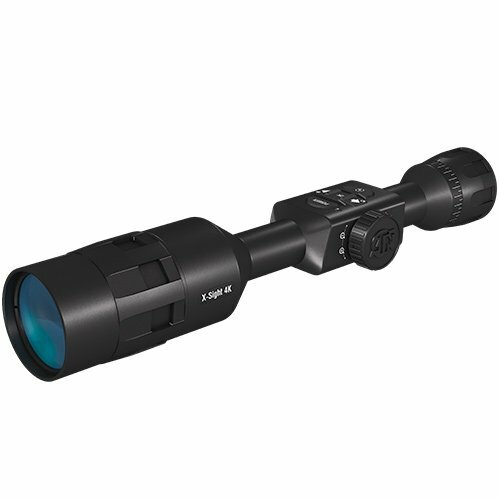 This is a great night vision scope for any newbies to the hunting industry. It’s an affordable solution if you want to test the night vision waters before committing to higher-end products. As the moon changes, so does the ability of this night vision scope by Night Owl. The hunting range is between 100 and 200 yards depending on the phases of the moon. At full moon, the scope will be at its highest capacity for distance and vice versa. The performance ability of this scope also doesn’t flounder under changing weather conditions. It’s fully weatherproof and capable of withstanding even the harshest environmental conditions. With the IR illuminator on, the battery will only last around two hours. With the illuminator off it can function up to five hours. We note that this is considerable less battery life than the unit mentioned previously. However, this shouldn’t deter you - it’s still a valuable buy. The Night Owl is most ideal for hog hunting by night. Its IR illuminated range allows for this. The device can’t be used during the day at all as it isn't a digital night vision system. We love the sleek, matte black body of this Sightmark night vision scope. This is a digital scope, so shooters can make use of it in both daylight and nighttime. It’s a well-priced, versatile unit. The built in illuminator offers an effective range of between 100 and 125 yards. That’s perfectly suitable for hog and varmint hunting. The Sightmark scope is 30% lighter than most of its competitors and also offers around 30% more battery life than they do. To top it off it’s all weatherproof and can handle intense shock waves. Perhaps the best part about the Sightmark is the fact that it has a video output function that allows your hunt to be recorded. This isn’t a feature seen often in cheaper night vision scopes. Here’s another versatile night vision scope that can be used both during the day and at night. The ATN X-Sight is the newest scope from one of the first companies to bring digital night vision to the world. You’ll have the best of both worlds being able to view your terrain during the day and under darkness. The scope has the battery life to outlast the hours of the day while out in the field. You’ll only need to recharge every 18 hours. Also equipped with on board recording ability, the X-Sight can stream your visuals to a third party for live viewing. The visuals will remain stored in the SD card within the scope as well as in the feed of HD quality streaming - impressive! FLIR is one of the most trusted brands in night vision technology. This Nemesis unit is their rendition of Generation 2 night vision technology. This is the most expensive unit in our line up, but with valid reason. It’s feature packed and offers consistent, impressive performance. Perhaps the most price-worthy feature of this scope is the unfathomable 60 hours of battery life. This is usually not seen in units that fall under the $2,000 mark. 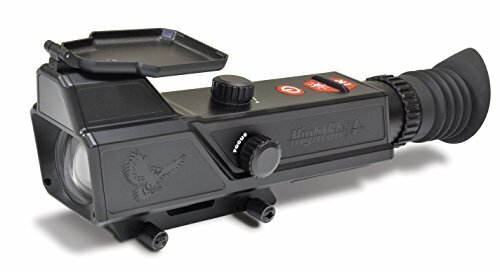 You’ll be able to take this scope on three day long hunting trips and have a lot of use without a recharge, with ease. It’s fully water and weatherproof. Since this scope isn’t digital it’s limited to night use only. Unlike the previously mentioned models, this FLIR scope isn’t video recording capable. It does, however, come with an impressive two year warranty period ensuring that your investment is covered for a decent while. Thermal scopes work slightly differently. While their sole purpose is also to produce imagery in low light, their process isn't the same as night vision scopes. Thermal scopes use a thermal detector (microbolometer) to detect the heat that is radiated off objects and surfaces. This information is then used to generate the image that you see through the scope eyepiece. In this sense thermal scopes work in a similar way to active night vision systems. The infrared radiation emitted by the objects is undetectable to the human eye just like the infrared light. Thermal and night vision scopes are essentially two different ways of achieving the same results: Vision in darkness. The biggest difference is that thermal scopes can be used in bright light while night vision scopes can’t. Bright light will damage the intensifier tubes located within the night vision scopes and they will no longer work. Thermal scopes can, to an extent, see through smoke and debris while night scopes typically can’t. However we hope that smoke filled air is never going to be a factor on your hunting trip, so this shouldn’t be a problem. There is a common agreement amongst hunters that thermal scopes are wonderful for detection, but not great for recognition. 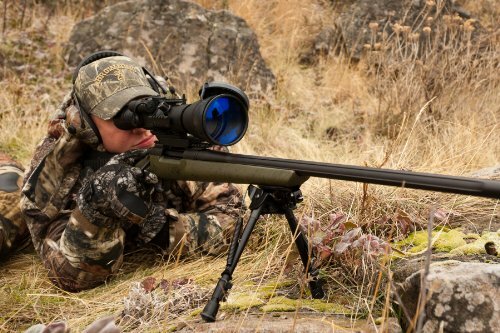 The opposite is to be said about night vision scopes; it’s easy to recognize an animal or being’s specifications, but detecting shot range should the object stand stationary can be tricky. Thermal scopes also tend to be considerably larger, heavier and more costly than an everyday night scope. The bodies of night vision scopes, though smaller, are more durable than most thermals. As mentioned, night vision technology began with warfare in the early 1940s. The United States military developed the software and made use of the active systems against their opponents. Because active systems of night vision emit infrared light, the opponents could not see the technological devices with the naked eye. They did however, over time, develop alternate detection software that could pick up infrared light being projected at them. This led to the development of the passive systems in the 60s - New technology that was completely undetectable by the opponent. These new night vision scopes became known as “starlight” because they were powerful enough to produce visuals with just the rays coming from stars in the sky. Quite incredible if we say so ourselves! These starlight systems were the first passive scopes to be used in warfare. They debuted in the Vietnam war and officially became known as “Generation 1” technology. Though this was only the beginning of a long line of developments. As warfare and technology advanced, so did night vision scopes. There was a constant goal to make them better, smaller and stronger. Eventually the technology became known as “Generation 2”. These were a range of night vision scopes that were smaller, lighter and had the best image resolution yet seen. This technology continued to evolve throughout the 70s and early 80s. Night vision scopes were taking the military world by storm. It wasn’t long before hunters became aware of them and wanted them for hunting. The scopes were, however, not easily accessible by the public and certainly not for recreational use. The late 80s saw the birth of “Generation 3”. Night vision scopes with never before seen quality and performance. These scopes used gallium arsenide inside the imaging tubes. This substance resulted in extremely sharp resolution in even the lowest of lights. These Gen-3 devices were used during the Persian Gulf War. After this, during the 90s, the US Department of Defense cut a lot of their budget that would normally have been used in advancing this technology. Hunters were still hot on the heels of this equipment. Therefore, manufacturers decided to make the technology available to the public with models specifically designed around night hunting. Finally, hunters across America could get their hands on these tools once reserved solely for warfare. Now night vision scopes are amongst the easiest technological purchases to make; however they cannot be exported outside of the US. There are a variety of manufacturers and brands on the market constantly catering to the ever-changing needs of hunters. Night vision scopes are no longer the toys of the military elite. They are everyday hunting aids that give users not only vision in the dark, but safety as well. We hope you’re leaving this buyers guide more informed in one way or another about the night vision scope market. As with hunting, the more information you have about the target, the more success you’ll have. Our feedback on five different units from five different brands should give you a clearer idea of where to invest your money. Just because a scope is considered “affordable” doesn’t mean that it needs to fall behind in performance or features. Night hunting is a sport of the masses and everybody should have access to affordable experience aiding technology when they need it. There’s a scope out there to suit even the most limited hunter’s budget. Forget the carrots - buy yourself a night vision scope today!